Is East Village a base jumping hotbed? Police are trying to determine if a man parachuted off a building in downtown San Diego's East Village in the early morning hours Friday. A San Diego police officer told 10News that a man hanging from a parachute appeared to land in front of his patrol car at the intersection of 16th Street and Island Avenue at about 1:30 a.m.
Police questioned the man as he held his bagged parachute, but ultimately did not cite him for anything because they were unable to prove he had actually jumped off the building. Detectives are currently looking at surveillance video for evidence. 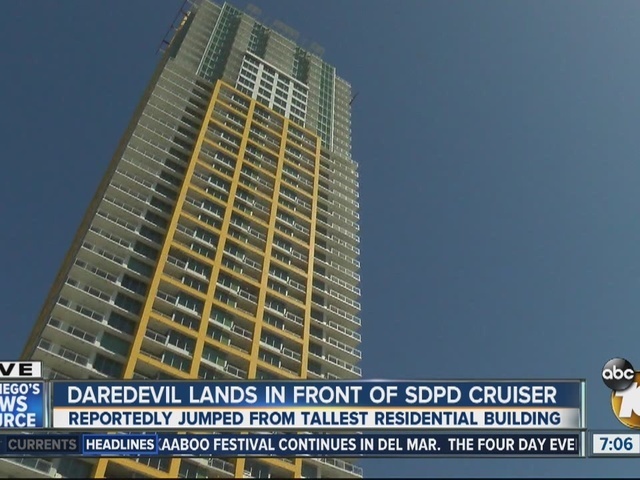 Police told 10News that they often get reports of people base jumping off the nearby Pinnacle on the Park apartment building. Collin Metscher, who rock climbs and repels, said, "Oh, I would totally do it." Of the supposed base jumper, Metscher said, "That he did it safely and early in the morning and there's not too many patrons around, that's a good thing." Metscher believes the 45-story building is "a nice base to jump off of; it's one of the tallest bases in San Diego." "The higher the better. It's not really a dangerous jump. You land in the park right here, you're good to go," Metscher added. 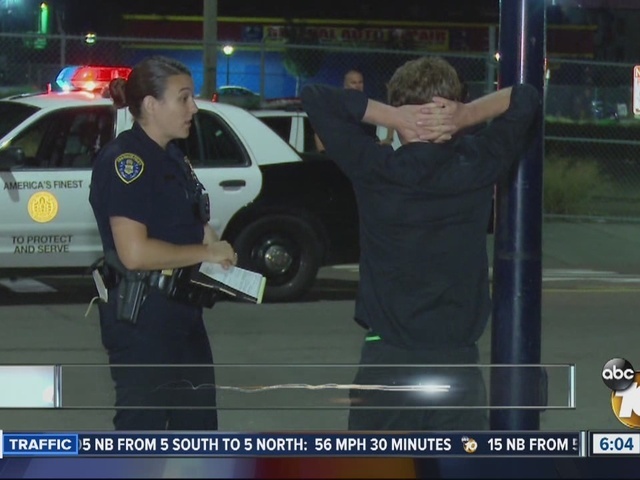 Three weeks ago, four men -- two of them Navy sailors -- were not cited after jumping off the Coronado Bay Bridge. The driver of the car, however, was ticketed for stopping on the bridge. Another man driving a boat below was cited for going more than five miles per hour. People have been base jumping in San Diego for decades. The Sky Animals did it off the Hyatt. "As long as he's taking safety precautions and whatnot," said Metscher. The Coronado Bay Bridge is 200 feet high, while the Pinnacle building is 479 feet high.